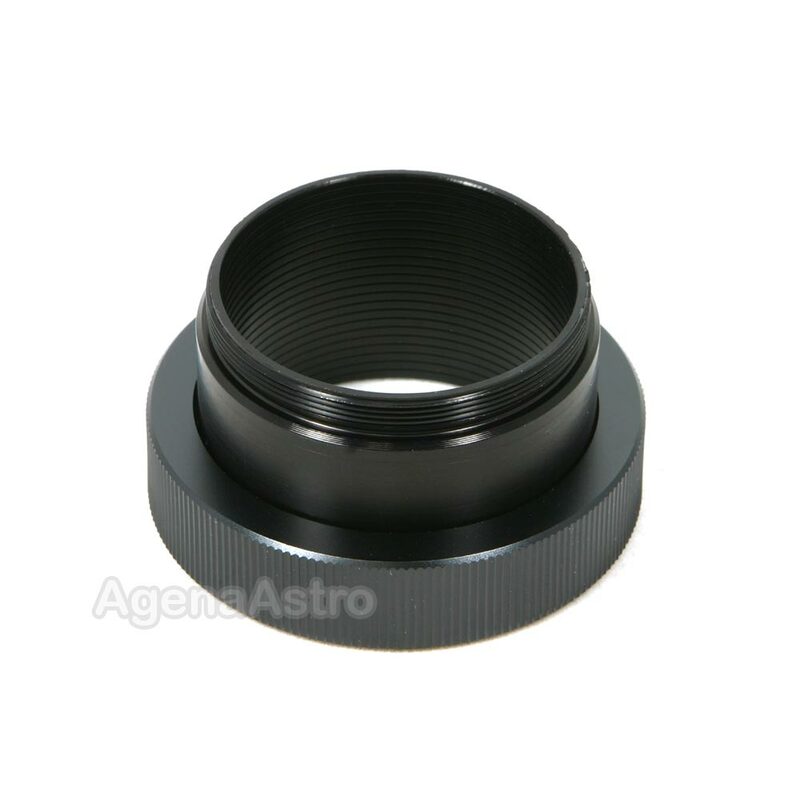 Antares SCT to T/T2 thread adapter (short version) # TAS. This adapter threads on to the rear cell of your SCT scope. You can then attach any accessory with a standard female T-thread (such as a camera T-ring) to your SCT. Has a standard SCT female thread on one side and a male T-thread on the other. 2-piece construction so you can adjust the orientation of any attached camera/accessory. Black anodized aluminum. Made in Canada. 5.0 (Based on 6 Reviews) 83% of reviewers recommended this product. This is a great adapter. I didn't want to buy the Celestron version after reading some reviews. This cost slightly more, but was less expensive than all the rest. It worked flawlessly. Used this adapter to mount a camera to a new to me C6. Did a great job. Well finished by any standard (and I have machined telescope parts since the mid 1970s). Short coupled adapter works well for me. Strong and stiff. Review by Leonard of Prineville, OR. This adapter attaches to a 2" SCT thread and provides T-threads at the other end. The dimensions are exactly as described. Review by Craig of New Zealand. Very happy with this T Adapter, excellent build quality, unlike the Celestron one I was using previously which felt, looked and is poor quality. Review by JR of Clayton, NC. Got the product I ordered and a reasonable price. Will order again. Review by astro944 of South Florida. Great item, light and strong. Threaded all the way thru to improve contrast. And dont forget the price! Highly recommended.